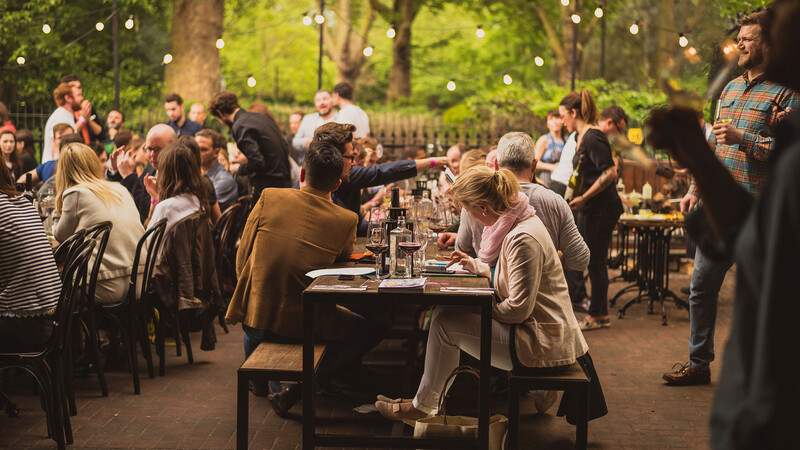 An oldie but a goodie: there's a reason why this neighbourhood favourite frequently tops the list when it comes to outdoor dining in London. 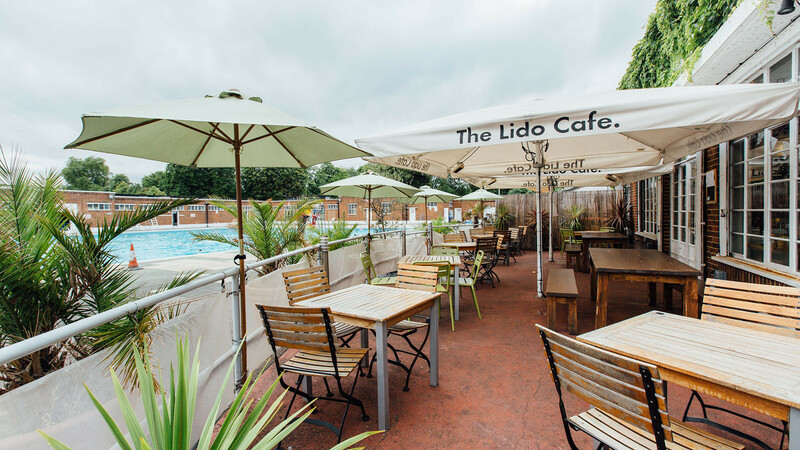 The picturesque terrace sits alongside the jewel-blue waters of Brockwell Lido, and the food is good enough to make the café a dining destination in its own right. Breakfast, brunch and lunch are its speciality, with seasonal salads and a mean burger, but come summer, it opens its doors for dinner, too. You can't get much more London than Rochelle Canteen. 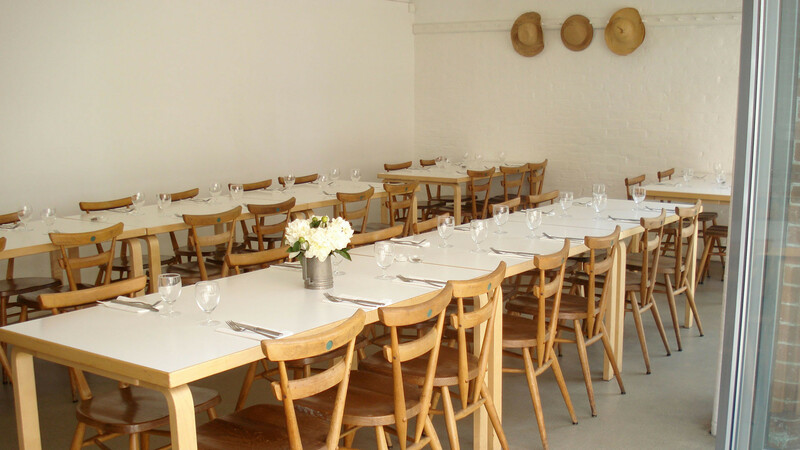 Occupying the revamped bike shed of a former Victorian school playground, the café and restaurant is complete with a glorious, sun-drenched courtyard, and food comes from Margot Henderson (married to Fergus Henderson of St John), which means you'll find seasonal, honest, nose-to-tail dining. Part of the fun is actually finding out how to get in: you need to locate the special door just off Shoreditch High Street, ring the doorbell, and request your table. Bonus: it's BYOB. Not content with running Sartoria, the only restaurant on Savile Row, chef Francesco Mazzei has turned his attention to the restaurant opposite Islington's Almeida theatre. Here, he's created a menu of Calabrian classics – think salt cod with tomato sauce and olives, and pancetta-stuffed calf's liver – while former Artesian mixologist Simone Caporale mans the bar. 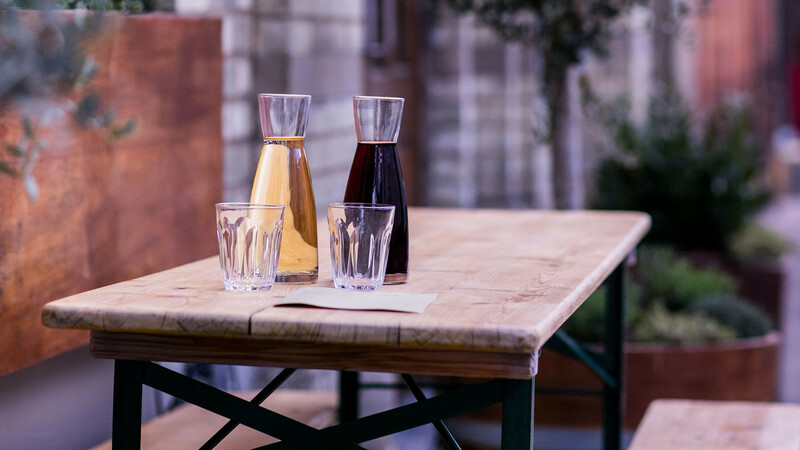 Both food and drinks are served in a dining room designed to reflect the rugged landscapes of Mazzei's Calabrian heritage, and the relaxed, intimate vibe spills out on the suitably Mediterranean-inspired terrace on Almeida Street. 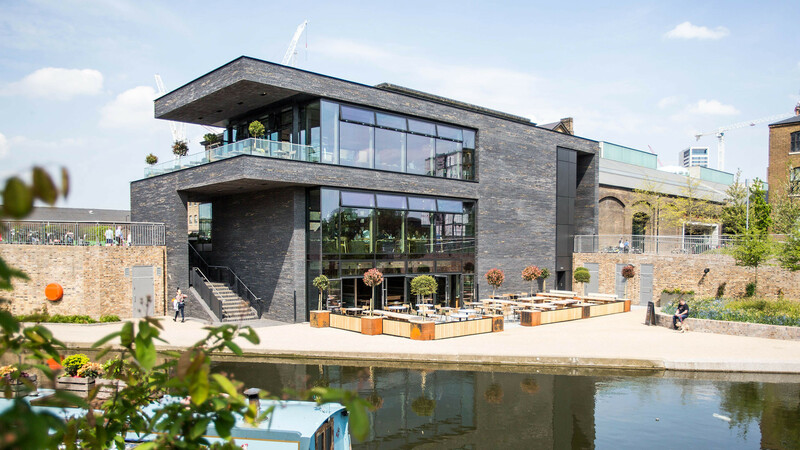 The Lighterman's architecture may strike you as odd at first glance, but the King's Cross pub and dining room actually resembles the flat-bottomed barges ('lighters') that were once a common sight on London's canals. The best bit, though, is that the shape means there's a wraparound terrace overlooking the water – the perfect pitstop for soaking up sunshine, local ales and unusual wines, and scoffing hearty pub grub. In summer, there are few greater pleasures than whiling away an hour or three perched on trestle tables in pedestrianised, buzzy Exmouth Market. For food with flavours that are as bright and sunny as the weather (hopefully), head to Caravan, where the menu takes inspiration from the founders' travels across the globe, with plates of everything from date and burnt onion pastilla, tahini aubergine, preserved lemon and almonds to brown shrimp and grits with bourbon butter. 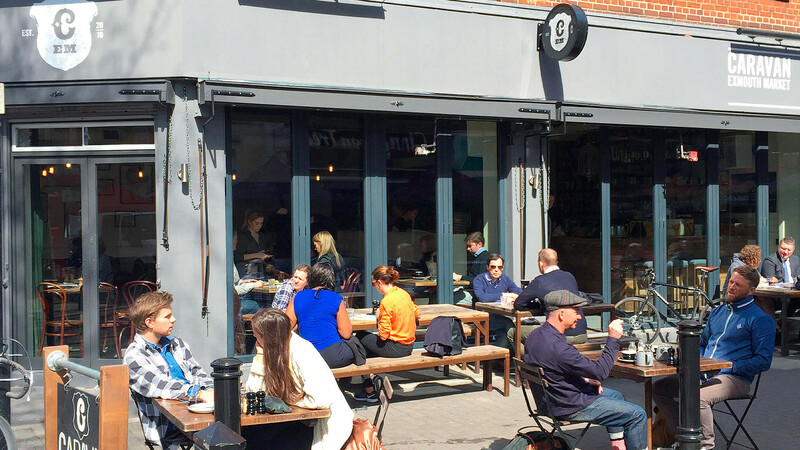 East London is undeniably at its finest in summer, when hipsters, Birkenstocks and craft beers abound. There's a sweet new sunspot, too, in the form of Sager + Wilde's new courtyard at its Paradise Row site. There's now a shack/bar serving up inventive cocktails from Marcis Dzelzainis, who's currently flexing his mixology muscles with creations using Bacardi rum, although the spirit of choice will change every few weeks, as well as soon-to-be favourites like the zingy pink grapefruit americano. The snack menu cooked up by Sebastian Myers – who previously worked with Nuno Mendes of the Chiltern Street Firehouse – features deep-fried, crispy Jerusalem artichoke, a beautiful salad of Isle of Wight tomatoes, and lightly battered and fried whitebait with asparagus, to name but a few. Yep, we predict this will be the place to be this summer. 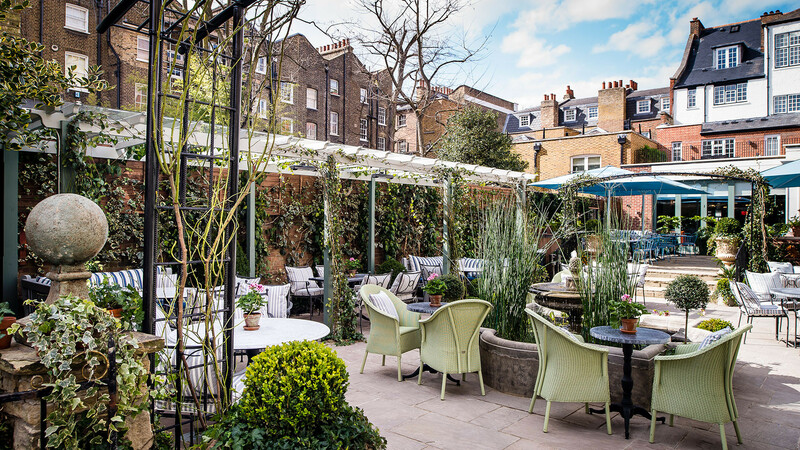 Iconic West End restaurant The Ivy opened a second outpost in the civilised surrounds of Chelsea last summer, and in keeping with the original's 'can do no wrong' reputation, it was incredibly well received. It's not hard to see why: classic dishes – including that shepherd's pie – are served in a stunning setting. The main draw of the new location, though, is the large paved garden, where you can dine alfresco surrounded by (perfectly manicured) foliage. If the thought of sky-high dining in the heart of the city floats your boat, fish and seafood restaurant Angler – situated on top of South Place Hotel – is for you. This boutique location is D&D London's first ever hotel, and as you'd expect, the food has been as meticulously thought-out as the accommodation. 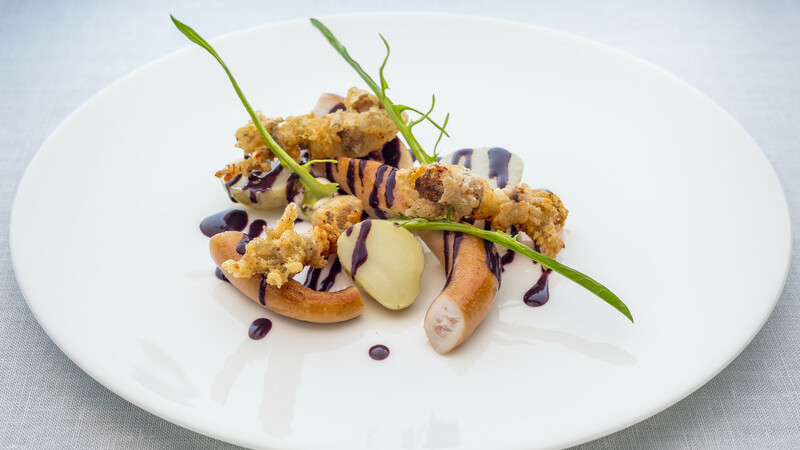 Book a table on the chic terrace with its retractable roof (this is England, after all), and enjoy Michelin-starred dishes under the actual stars. 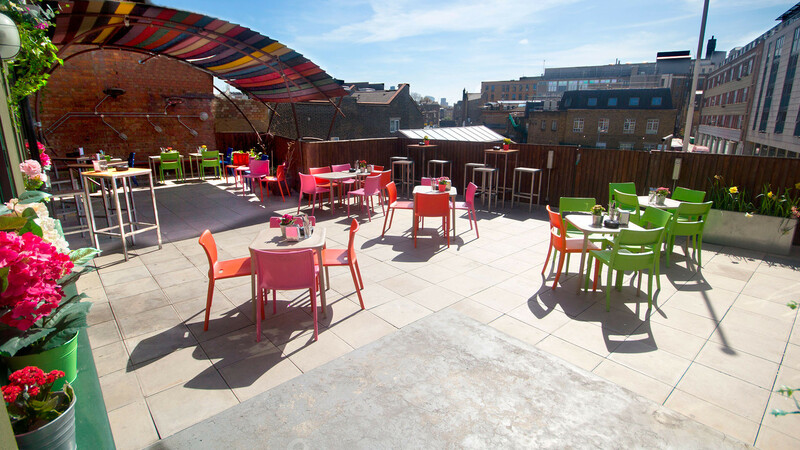 During the summer, head to one of the roof-terrace barbecues, when the atmosphere becomes a little more convivial. Remember when King's Cross was the last place you'd think about going for dinner and drinks? How times have changed… This newly hip enclave of town is now home to one of London's finest rooftop destinations for summertime wining and dining with a frivolous festival vibe. Big Chill House serves brunch, burgers and cocktails to a lively crowd who survey their surroundings from wooden benches on the decked terrace before dancing the night away. 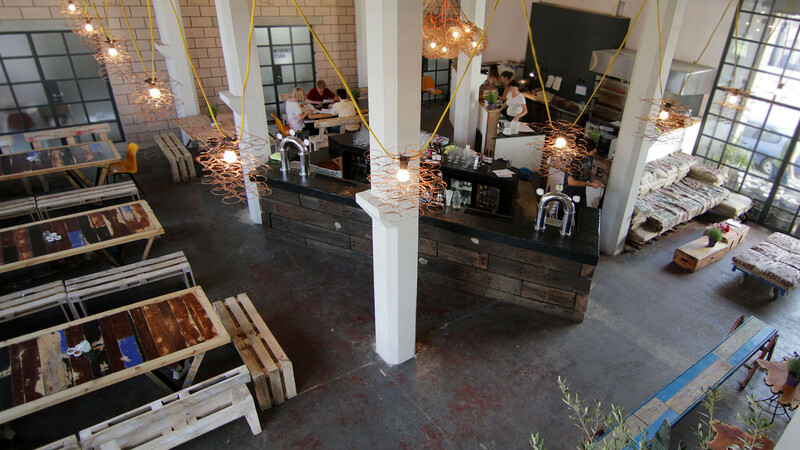 A craft brewery, in a warehouse, in Hackney. Do places get any more hipster? Either way, this spacious hangout really comes alive in summer, when beer-swigging scenesters crowd onto benches that sit alongside the canal, and soak up their ales with pizzas loaded with toppings ranging from lemon chicken tagine to Middle Eastern lamb. Some have even been known to sail up and enjoy their pints from on deck.